(TibetanReview.net, Oct10, 2017) – The exile Tibetan administration at Dharamshala, India, is holding a meeting over Oct 9-10 of its task force for contacts with China. In the absence of any prospect for a Sino-Tibetan talks now or in the foreseeable future, the meeting is limited to reviewing future prospects on dialogue between envoys of the Dalai Lama and Chinese government representatives. The meeting, the 29th since 1999, is being presided over by President Lobsang Sangay of the Central Tibetan Administration (CTA). 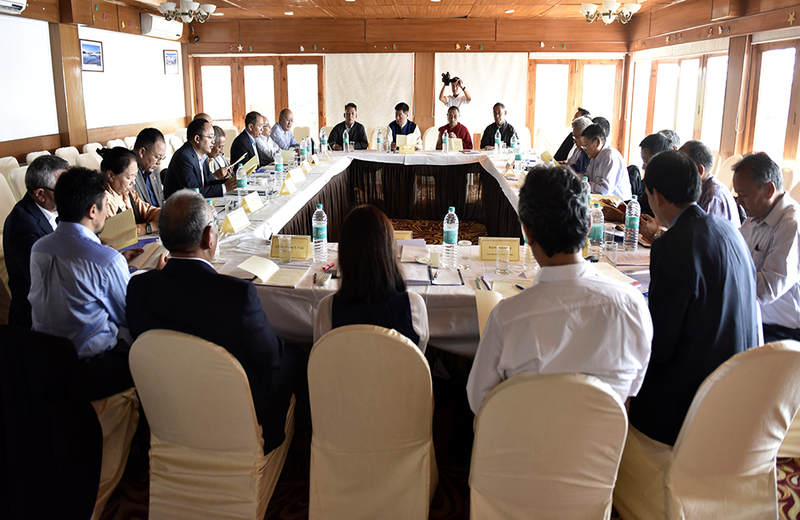 The Task Force on Negotiations last held its meeting in Jul 2016 at Dharamshala. Its role is to help recommend policy matters and strategies to find a peaceful and mutually acceptable negotiated resolution to the issue of Tibet. The CTA’s Tibet.net website, which reported on the meeting on Oct 9, did not mention any name of the task force members. It only said President Sangay, accompanied by his colleagues in the 15th Kashag, was presiding over the meeting.